Brooklyn meets Hollywood just steps away from the heart of Melrose's trendy design + restaurant district, where this urban oasis offers a secluded 3 + 2.5 California bungalow retreat. 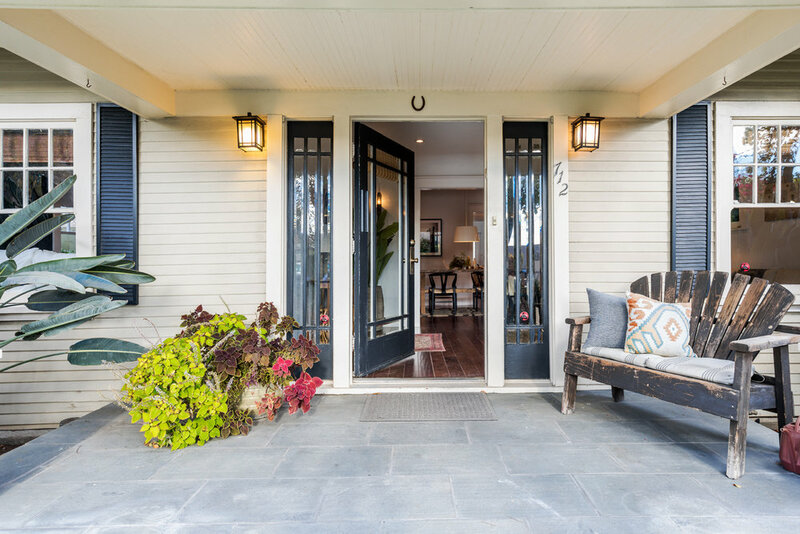 A private, hedged front yard with a welcoming porch leads to well-proportioned sitting + dining rooms. Original details compliment the modern upgrades throughout the living space. Designer-done open kitchen, double-height ceilings, vaulted ceiling in the master bedroom, + an additional loft space above the family room offer endless creative possibilities. French doors from the kitchen/family room lead to the backyard. Charming covered dining pergola with string lights + lush greenery make for enchanting entertaining or relaxation. Bonus 1 bedroom 1 bath guest suite attached to the garage makes this artist's haven a complete package. Hurry! Get in touch with Jenna to find out more about this home or others like it.